Aloe is a versatile typeface created by Roch Modrzejewski and published by ROHH which is a mix between a display font with handwriting. Equipped with 9 weights with ornaments fonts and various OpenType features, works great for a wide variety of situations, from editorial use to screen, web projects. Enjoy! 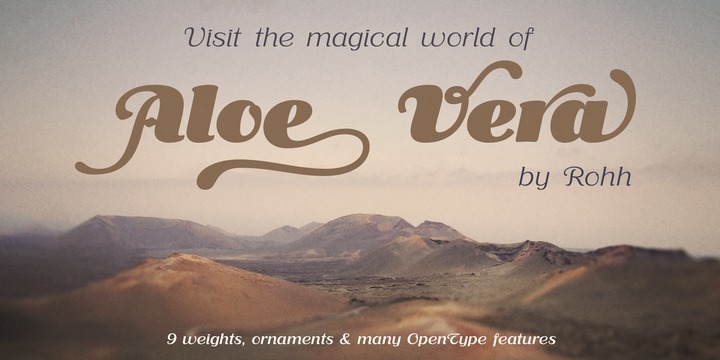 A font description published on Monday, May 11th, 2015 in Foundry, Roch Modrzejewski, ROHH by Alexandra that has 2,213 views.